Rishikesh is a Hindu pilgrimage site located at the convergence of rivers Ganges and Chandrabhaga. This naturally attractive place at the foothills of the lower Himalayas in the state of Uttaranchal, serves as a gateway to other religious centers like Kedarnath, Gangotri, Badrinath and Yamunotri. This sacred place is home to many ashrams like Vivekananda, Sivananda, Osho, Bihar school of yoga etc. Rishikesh is known as the best school of learning Yoga and Meditation in India. This bridge is built at the spot in north Rishikesh where Sri Laxman (brother of Lord Rama) performed meditation. A temple is also built here in Laxman's memory. The bridge was made of jute rope initially but later in the early 19th century it was rebuilt with iron ropes. Gita Bhawan is a popular religious centre situated just across the Lakshman Jhoola. The bhawan exhibits numerous attractive paintings and statues that depict scenes from Hindu mythology. Gita Bhawan also houses an Ayurvedic dispensary and a huge library. This ancient temple is located at an altitude of 5,500 feet, about 12 km from Laxman Jhoola. Famous for its marvellous architecture, the temple is accessible via a small trek route offering a spectacular view of the Himalayan peaks, forested hills and the plains below. This highly revered ghat is situated at the heart of city. The ghat witnesses a number of pilgrims performing morning and evening rituals and Aartis. People believe that a holy dip in the river Ganga at this ghat washes away all your sins. Rishikesh also has a number of Yoga Ashrams. The Yoga Study Centre, Yoga Niketan Ashram and Sri Ved Niketan Ashram are a few such centres that draw thousands of people including foreigners to learn Yoga. The energetic and lively river Ganga at Rishikesh offers wonderful opportunities to try out various adventure sports like Rafting and Canoeing. Brahmpuri to Rishikesh and Rishikesh to Shivpuri is an ideal rafting route. People love to go rafting in the months of September-November and March-May. Activities like Hiking and Trekking can also be undertaken in Rishikesh. There are several Government Emporiums in Rishikesh from where one can buy Carved Wooden Furniture, Shekhawati Paintings, Semi-Precious Stones, Astrological Stones, Ayurvedic Medicine, Medicinal Plants, Woolens, and Junk Jewelery. 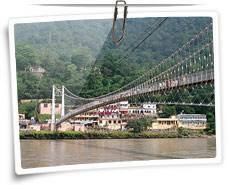 Rishikesh, being a highly acclaimed religious destination, offers a wide range of accommodation facilities. 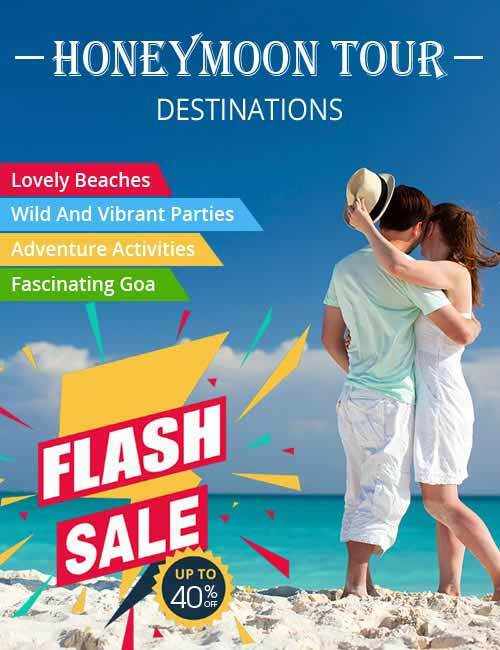 It offers a number of luxurious, deluxe and budget hotels to suit every pocket. Besides, adventure lovers can also put up at the rafting camps in Rishikesh. Rishikesh enjoys a moderate climate throughout the year. Winters are quite pleasant, but nights can be chilly. In the peak summer months, the temperature can go beyond 40 degree Celcius. By Air: The nearest airport is Dehradun (35 km from Haridwar), which is connected to Rishikesh by train. By Rail: Rishikesh is connected to Kolkata, Mumbai, Delhi, Lucknow, Varanasi, Dehradun and other cities of India via Haridwar (24 km). By Road: National Highway-58 takes you to Rishikesh via Modinagar, Muzzafarnagar, Roorkee, Haridwar and Raiwala. The city is easily accessible from Badrinath (301 km), Delhi (224 km), Dehradun 43 km), Kedarnath (228 km), Gangotri 258 km), and Yamunotri (288 km) by bus or taxi.